Joon, the youngest member of the Air France Group started its flight operations in December. The new brand follows the concept of an airline between a classic airline and a low-cost carrier and was created to meet the needs of a new generation of travellers. That means giving them flexibility and personalised customised experience. Joon is for anyone looking for a new travel experience. It operates Airbus A320/A321 and A340/350 aircraft from Paris-Charles de Gaulle (CDG) to Berlin, Barcelona and Lisbon. In addition to free drinks such as Segafredo organic coffee, tea, water or orange juice, a wide range of snacks and other drinks are offered on board. Using their own smartphones, tablets or laptops passengers can connect to the YouJoon media library via WLAN for free and stream music, videos or TV series there. USB ports in the armrests can be used for charging the batteries. Business Class passengers receive a full menu and the guarantee of a empty middle seat. On long haul flights, Business Class passengers will receive SkyLights virtual reality goggles AlloSky. The new generation of eyewear is equipped with HD screens and adapts to individual vision thanks to automatic vision correction. The uniforms of the cabin crew are fashonably casual. 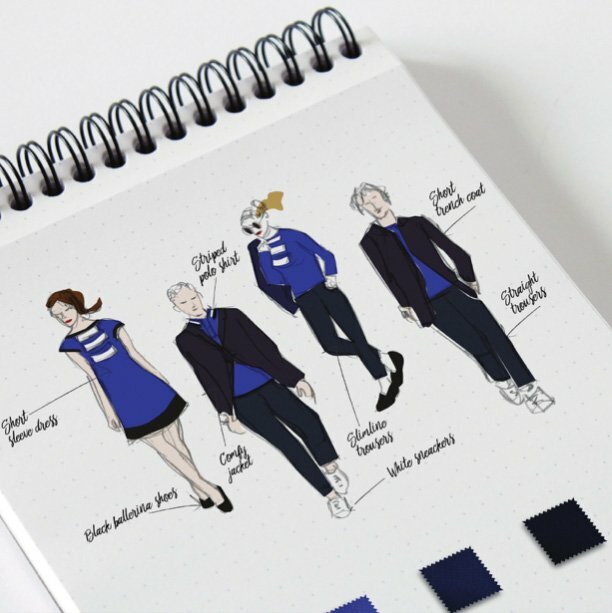 They consists of classic and modern elements such as cigarette trousers, sneakers, sailor shirt and a sleeveless down jacket and were made from recyclable materials. Joon is a laboratory where you can try and learn. Passengers enjoy a rich offer of services through innovative partnerships that are expanded constantly. Through Airbnb Experiences you can go on unique trips with hosts such as cooks, enthusiastic hikers and other locals. In Paris there is a bespoke city tour in three variants available in cooperation with their partner BHV Marais. At Paris-Charles de Gaulle Airport passengers can drop off their car for free at TravelCar and let it while they are away. And with exclusive partner Waynabox in Berlin, Barcelona, Lisbon and Porto passengers are already exploring their destination 48 hours before departure. If you book a weekend at a fixed rate Waynabox will take care of everything else. 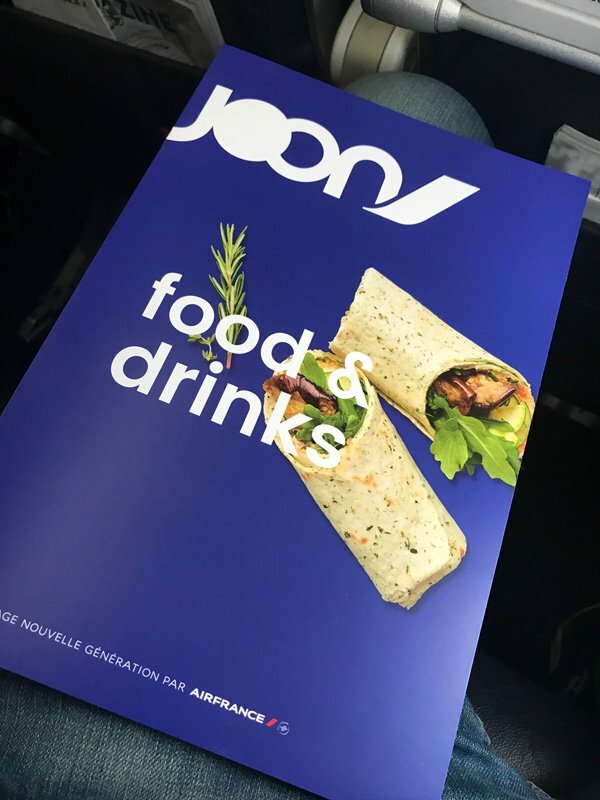 Throughout the journey Joon passengers benefit from Air France’s range of services. Passengers can easily change trains in Paris-Charles de Gaulle as well as earn and spend miles in Flying Blue, the frequent flyer program of AIR FRANCE KLM. Business Class guests, as well as Flying Blue Gold and Platinum members have access to SkyPriority services. Starting in summer, Joon will be flying from Paris CDG to Cairo, Cape Town, Tehran, Fortaleza and Mahé. Starting in March, further European destinations such as Rome, Naples, Oslo and Istanbul will be served. The oneway fare within Europe starts at 39 euros.